Over the last decade, we’ve seen a big shift in the spa manicure and pedicure industry. The rise of celebrity nail technicians show that manicure and pedicure is more than just nail art—it’s about professional skin care. From flawless feet to youthful looking hands and skin, nail technicians are providing clients with treatment services that provide both preventative maintenance and results. A leader in skincare, BCL was the first brand in the industry to introduce certified organic ingredients into a complete spa manicure and pedicure system. This core product line is BCL SPA, a 4-step system that includes a Dead Sea salt soak, sugar scrub, moisture mask and massage cream. All scents are infused with certified organic fruit and botanical extracts with healing properties for different skin types. Today, BCL’s Mandarin Mango is #1 sugar scrub in the industry. BCL is known for creating innovative and high-quality products. The company created the industry’s first wax-free lotion to deliver moisture deeper into the skin without a greasy lotion feel. In an effort to make safer products, BCL developed a Callus Exfoliator to hydrate and soften skin without the chemicals found it other callus products. 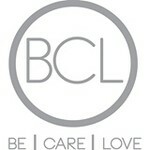 But perhaps most all of the buzz is about BCL’s White Radiance skin brightening technology. 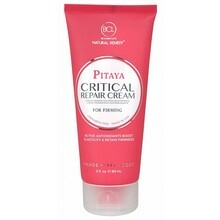 Using a patented formula of Volcanic Silt, Pearl, Kojic Acid, Milk, Ginseng and Rice Water, White Radiance evens out hyperpigmentation, skin-tone and other imperfections due to age.